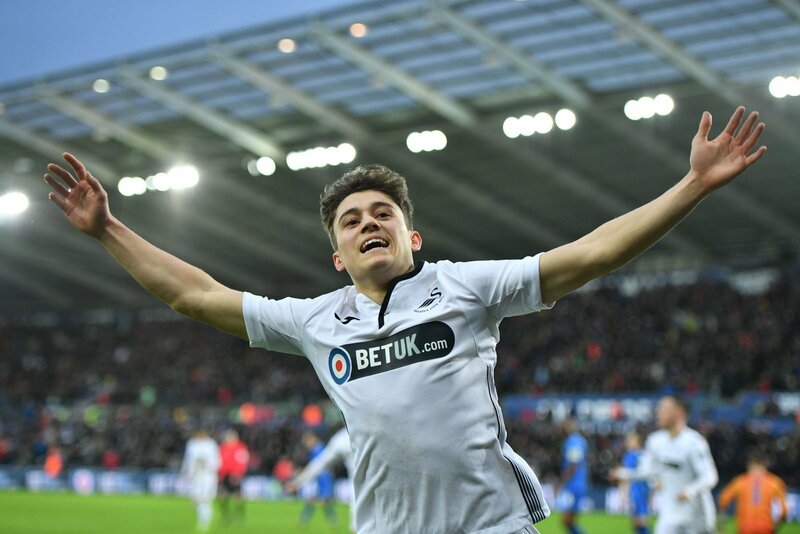 If you were to pick one name that defined the Championship transfer window this January, one player whose saga overshadowed everyone else, it would be Daniel James. Whether that was because of files on a computer, because of the pursuit by Leeds or the deal collapsing at last minute, this was the big news in January. In the end, James went nowhere and Leeds were left disappointed. They played Swansea last night and their top transfer target was readily involved in the game. Did he impress in his his outing at Elland Road? Or did he give an indication that Leeds might have had a near miss? Our latest spotlight piece examines Daniel James’ input against Leeds United. James played just 68 minutes of the encounter last night, with his side trailing 2-0 as he came off the field. It wasn’t a good performance by Swansea and James’ input reflected that. Perhaps playing him was a mistake, after all Bielsa has examined the player inside out and would have known perfectly well how to restrict his influence. James won just one foul and made a single interception too, minimal impact on such a high profile game. He did go on four successful dribbles, a decent number for a winger and one of the reasons Bielsa will have wanted him in his squad. His passing was awry though, he made one key pass, but just 15 standard passes during the game. Of those 15, only 60% found a team mate, a poor return for a top Championship player. In the end, James’ appearance at Elland Road was anticipated by many, but enjoyed by few. he showed flashes of endeavour, but nothing of the sensational skills that almost prompted Leeds to land him a fortnight ago. After Middlesbrough eye opener, is it time for Chris Wilder to make bold Sheffield Utd call?